To contact the BC Community Bat Program, visit http://www.bcbats.ca, email info@bcbats.ca or call 1-855-922-2287 ext. 24. 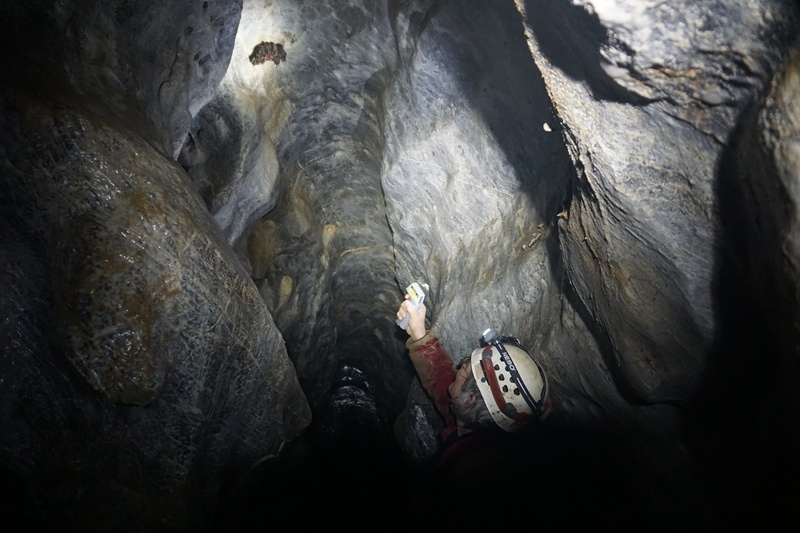 A biologist inspect hibernating bats for signs of WNS. 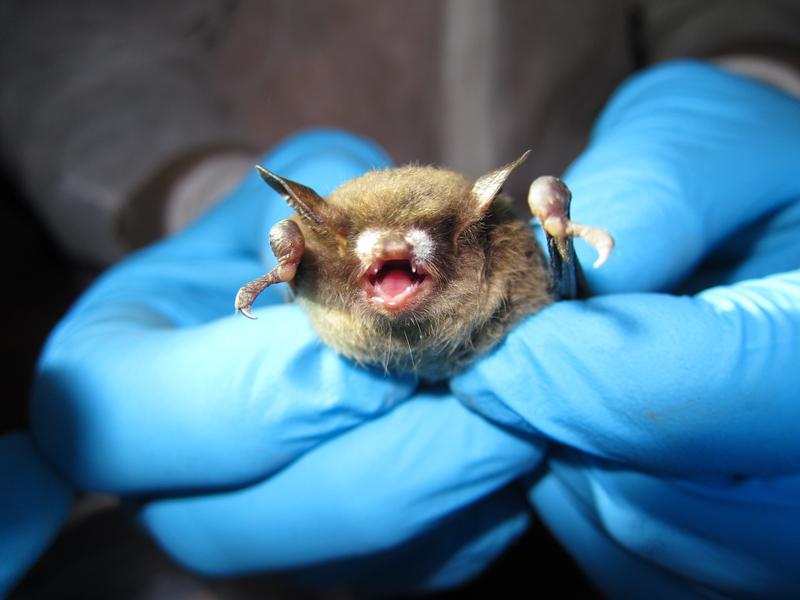 A little brown bat with visible symptoms of fungal growth typical of White-Nose Syndrome. 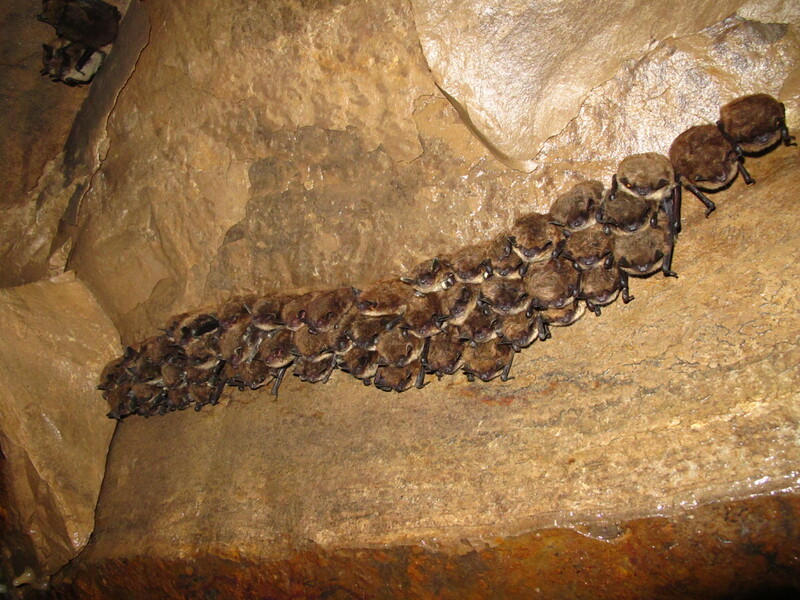 Hibernating bats remain free from WNS.